Imagine if you could easily find relatively cheap insurance that gave you confidence and flexibility – where you were covered for everything important and you didn’t have fight if you needed to make a claim? 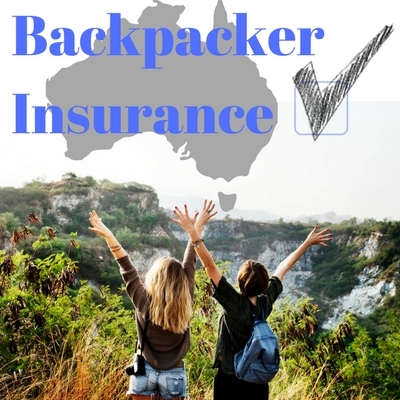 These 5 tipswill show you how to find the right long-term backpacker travel insurance for residents of Australia (including backpackers of other countries) to cover your needs. The truth is, there aren’t many insurance companies that focus their policies on the needs of backpackers. This is because backpacking has a number of different requirements that often aren’t covered by regular travel insurance packages. However, on this page, we will show you some leading companies that do offer coverage specifically for backpackers and also show you what to look out for in a long-term travel insurance policy. What Makes A Great Policy? There are many things that make a backpackers insurance policy different to a normal travel insurance policy. What you may not know is that many travel insurance policies do not cover you in all activities. As well as this, even if the providers do offer cover for certain activities, it will sometimes only be in the form of an added extra. This is especially problematic for backpackers as they are often out seeking adventure and, as such, they are likely to try a high-number of activities that they wouldn’t necessarily normally do. Because of this, a backers insurance policy will need to cover a large variety of activities. Before you sign up to an insurance plan, make sure that you have checked the activities that are covered and sign-up to any extras if you think that they are needed. If you have a working-holiday visa and are planning to work while you are away, then you must ensure that your travel insurance policy covers you while you are working. This is something that most travel insurance policies simply won’t do. Having said this, it is often possible to get cover for work activities from a country’s national insurance policy after you arrive so make sure you check this out too. Backpackers are often flexible with their plans. In fact, this flexibility is half the fun of long-term travel! Because of this, a good backpacker travel insurance provider will allow you to extend your trip while you are travelling. This is also great for those living in Australia on a working holiday visa as it means that you will be able to buy travel insurance from your home country while in Australia. This will keep you covered should you choose to make a foreign trip after your stay. Another super-important thing to check is that you have flexibility in what is covered. While when travelling some people will be super minimalist and only take the bare basics, others will bring expensive cameras, laptop computers, smartphones, and tablets. If you are bringing a lot of expensive items, it is best that you ensure they are covered in case they go missing. If not, you could be left with a hefty bill to replace them. Now, while you want to make sure you get the best plan possible, it is also important that your plan isn’t too expensive. If you can get all the above for a lower amount with one insurance provider than another, then happy days! Insurance Is Expensive And I’m Travelling On A Budget – Do I really Need It? In most cases, there is no legal requirement to have travel insurance (a notable exception is when it is required for a visa application). However, beyond a legal perspective, it is quite simply an invaluable thing to have. For example, the most important part of any travel insurance policy is probably your emergency medical expenses. While this is also the part of your insurance package that you really don’t want to use, in most countries, hospital bills can quickly rack up meaning that should you have an accident, you may just save yourself or your loved ones from serious financial trouble by having insurance. Other useful things that insurance covers you for includes trip (or flight) cancellations. Say you are supposed to be catching a long-haul (read: expensive) flight, yet the flight is cancelled or for some reason outside of your control, you are unable to make it – which is much more likely to happen when overseas. In this case, many travel insurance policies will cover you for a replacement flight or reimburse you for the money lost. Another time when it is incredibly useful to get insurance is if you are taking high-value items with you. Things such as DSLR cameras, smartphones, tablets, and laptop computer are pretty common travel accessories yet also cost a serious amount of money to replace. Travel insurance can help you out if you lose your expensive items. Having said that, you will often have to specify these items (and their value) when you take out insurance so be sure to so to be certain that you are covered. Questions To Ask Yourself Before Taking Out A Policy? In order to check you are covered, here is what you must think about before taking out your policy. Certain countries are more expensive to get insurance for than others. If you aren’t 100% sure about where you are going, many insurance providers offer worldwide coverage or coverage by area. What Type Of Activities Do You Want To Be Covered For? If you are thinking about taking part in any unusual activities, it is best to ensure that these are covered by your plan. In fact, even if you aren’t doing any unusual activities, it can be best to check what exactly you are covered for before you set off. Do You Have Any High-Value Items That You Need Cover For? If you do, make a list and find out their value as you will often have to list these items when you take out your insurance plan for them to be covered. Sometimes you will even need evidence of their value so make sure to check this out too. Are You Likely To Extend Your Trip? If you think there is a good chance that you will extend your trip, make sure that you choose an insurance provider that allows you to extend your insurance too. This way, you will ensure that you are always covered throughout the duration of your trip. Four levels of cover to check from. They have a clear list of what is on each level on their website. Yes – although different types of work require a different activity level. Yes – You can either extend your trip or even buy a new plan while abroad. Yes – List the items when you apply for your plan. 90 activities covered automatically, with the option to upgrade to cover an additional 13. No mention on website – contact them for more info. Yes – You can extend once to bring your trip to a maximum of 18 months. Yes – A basic amount is included although this can be upgraded. Large number of activities covered. In most cases they say you can. Must be done by contacting them directly. Yes – List each item when you apply for your plan. Many amateur sporting activities. Contact them to check specifics. Extensions for trips over 60 days. * A note on the annual price. This will vary wildly depending on a number of factors including where you are from, where you are going, and what you need to be insured. The annual price listed is based on a search for a 25-year-old Australian going to Thailand for a year with the most basic cover available. As you can see from the above table, each insurance provider has benefits depending on exactly what it is that you are after. However, if you are looking for a travel insurance policy that covers all the aspects featured above, then World Nomads are probably the most comprehensive and easy to use. They were founded as an easy way for backpackers to get travel insurance and as such they really focus on the needs of backpackers and long-term travelers. What really sets them apart is the fact that you can buy and extend your travel insurance policy after you have left your home country. They cover a lot of different activities and the ones that aren’t covered by their standard plan can easily be added as you take out your insurance policy. In fact, they have a clear list of what is covered on their website. It is definitely worth checking this list before you take out a plan. Really easy to use website – You should have no problems getting a quote. You can extend your policy while abroad, or even take out a new policy. Their activity bands mean you know exactly what activities you are covered for, and whether or not you need to upgrade your policy. You can make a claim while abroad using their website, this is really important if you are away for a long period of time. Working is covered on their most basic policy (manual labor requires an upgrade). You can list expensive items if you are planning to bring them with you. While insurance is no doubt a crucial part of ensuring you have peace of mind while traveling. Nothing can cover you for all eventualities and the best thing you can do to ensure your trip goes without a hitch is simply be careful. However, backpacker insurance from World Nomads and the other countries above will have your back should something unforeseen go wrong.